"Stephen Richardson (Waldner) offered a sharply focused cameo which gave the production richness of texture and detail." 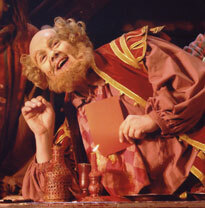 "Stephen Richardson was an imposing Sarastro." A specialist in contemporary repertoire, British bass Stephen Richardson has given the premiere performances of a number of important works including Ade's The Tempest at the Royal Opera, Covent Garden; Tan Dun's Orchestral Theatre II: Re, and Tea at Suntory Hall, Tokyo; Barry's The Triumph of Beauty and Deceit and The Intelligence Park; Tavener's Eis Thanaton, Resurrection, The Apocalypse and Fall and Resurrection with City of London Sinfonia at St Paul's Cathedral; and the British premiere of Ruders The Handmaid's Tale for English National Opera. Stephen Richardson was born in Liverpool and read music at Manchester University before training at the Royal Northern College of Music. 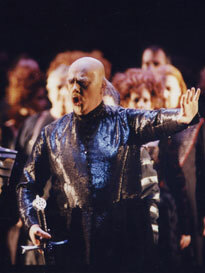 Since graduating he has assumed many of the leading bass roles in the operatic repertoire. This season he made his debut at Opera Australia as Falstaff, and Sarastro in Die Zauberflote. He recently performed Kaspar (Weber's Der Freischutz) with Opera de Rennes and Don Quichotte (Fenelon's Le Chevalier Imaginaire) for Ensemble Intercontemporain, and this summer will sing Bartolo in Le nozze di Figaro at Grange Park Opera. In concert he will sing Ade's Powder her Face with the London Symphony Orchestra at the Barbican Centre, conducted by the composer. Roles next season include Monterone (Rigoletto) and Hobson (Peter Grimes) for Opera North. 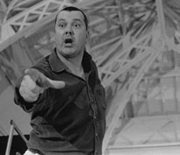 Performances with the major British opera companies include Graf Waldner (Arabella), Mamirov (The Enchantress), Daland (The Flying Dutchman), Claggart (Billy Budd), Fasolt (Das Rheingold), Osmin (Die Entfuhrung aus dem Serail), Sarastro (Die Zauberflote), Colline (La boheme), The Commendatore (Don Giovanni), The Commandant (From the House of the Dead), Sparafucile (Rigoletto), Baron Ochs (Der Rosenkavalier), Swallow (Peter Grimes), Timur (Turandot), and Sir Morosus (Die schweigsame Frau). 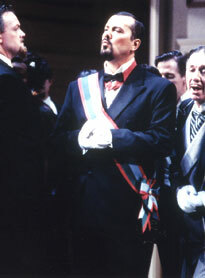 Abroad appearances include Netherlands Opera, De Vlaamse Opera, Opera National de Paris, Teatro alla Scala, Oper der Stadt Bonn, Istanbul Festival, Lyric Opera of Chicago, Salzburg Festival and Nationale Reisopera. As a concert artist Stephen Richardson is recognised for the broadness of his repertoire. 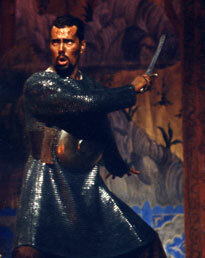 Notable appearances include the roles of Anubis/Death of Kong in Birtwistle's The Second Mrs Kong at the Royal Festival Hall with the BBC Symphony Orchestra under Martyn Brabbins; Humperdinck's Hansel & Gretel with the BBC Concert Orchestra under Charles Hazlewood; Messiah under Trevor Pinnock at Carnegie Hall; Oedipus Rex in the BBC's Stravinsky Festival under Andrew Davis; Adams Nixon in China with the London Symphony Orchestra; and Knussen's Where the Wild Things Are and Higglety Pigglety Pop! with the Cleveland Orchestra and the London Sinfonietta both under the composer's direction. Recordings include Where the Wild Things Are, the title role in Goehr's Death of Moses for Unicorn Kanchana, and Purcell's Ode for the Birthday of Queen Mary 1694 for DG Archiv; Stravinsky's The Flood, and Britten's A Midsummer Night's Dream with the London Symphony Orchestra under Sir Colin Davis for Philips; and Albert Herring for Chandos. "Richardson was richly resonant soloist."